Jeremy John Heywood, Baron Heywood of Whitehall, GCB , CVO (31 December 1961 – 4 November 2018) was a British civil servant. Heywood served as Cabinet Secretary from 1 January 2012, and Head of the Home Civil Service from September 2014, until stepping down in October 2018. He had previously served twice as the Principal Private Secretary to the Prime Minister, as well as the Downing Street Chief of Staff and the first and only Downing Street Permanent Secretary. After he was diagnosed with lung cancer,  he took a leave of absence from June 2018, and retired on health grounds on 24 October 2018, receiving a life peerage; he died two weeks later on 4 November 2018. The Cabinet Secretary is the most senior civil servant in the United Kingdom. They act as the senior policy adviser to the Prime Minister and Cabinet and as the Secretary to the Cabinet, responsible to all Ministers for the running of Cabinet Government. The role is currently occupied by Mark Sedwill, appointed in October 2018; in succession to Jeremy Heywood, 2014 - 2018. The Principal Private Secretary to the Prime Minister is a senior official in the British Civil Service who acts as Principal Private Secretary to the Prime Minister of the United Kingdom. The holder of this office is traditionally the head of the Prime Minister's Office. In the Civil Service, the role is currently graded as a Director-General. To date, no woman has ever occupied the office. In fiction, the character of Bernard Woolley in the television series Yes, Prime Minister, occupied this post. The Downing Street Chief of Staff is the most senior political appointee in the Office of the Prime Minister of the United Kingdom, acting as a senior aide to the Prime Minister, a powerful, non-ministerial position within Her Majesty's Government. Heywood was born on 31 December 1961 in Glossop, Derbyshire, England. His parents were Peter Heywood and Brenda Swinbank,    who met as teachers at Ackworth School, one of a few Quaker educational establishments in England. Glossop is a market town in the High Peak, Derbyshire, England, about 15 miles (24 km) east of Manchester, 24 miles (39 km) west of Sheffield and 32 miles (51 km) north of the county town, Matlock. Glossop is near Derbyshire's county borders with Cheshire, Greater Manchester, South Yorkshire and West Yorkshire. It is between 150 and 300 metres above mean sea level, and lies just outside the Peak District National Park. Brenda Swinbank is an English archaeologist, one of the first women in Britain to become a professional archaeologist. She specialised in studying Hadrian's Wall, and was instrumental in bringing to publication excavations under York Minster. In the United Kingdom, independent schools are fee-paying private schools, governed by an elected board of governors and independent of many of the regulations and conditions that apply to state-funded schools. For example, pupils do not have to follow the National Curriculum. Many of the older, expensive and more exclusive schools catering for the 13–18 age-range in England and Wales are known as public schools as defined by the Public Schools Act 1868, the term "public" being derived from the fact that they were then open to pupils regardless of where they lived or their religion. Prep (preparatory) schools educate younger children up to the age of 13 to "prepare" them for entry to the public schools and other independent schools. Some former grammar schools converted to an independent fee-paying model following the 1965 Circular 10/65 which marked the end of their state funding; others converted into comprehensive schools. Bootham School is an independent Quaker boarding school in the city of York in North Yorkshire, England. It accepts boys and girls ages 3–19, and had an enrolment of 605 pupils in 2016. Hertford College is a constituent college of the University of Oxford in England. It is located on Catte Street in the centre of Oxford, directly opposite the main gate to the Bodleian Library. The College is known for its iconic bridge, the Bridge of Sighs. There are around 600 students at the College at any one time, comprising undergraduates, graduates and visiting students from overseas. As of 2018, the college had a financial endowment of £65m. From 1983 to 1984, Heywood worked as an economist at the Health and Safety Executive, before moving to the Treasury,  and became the Principal Private Secretary to the Chancellor of the Exchequer then Norman Lamont at the age of 30, having to help mitigate the fallout from Black Wednesday after less than a month in the job. He remained in this role throughout the 1990s under Chancellors Kenneth Clarke and Gordon Brown. He was economic and domestic policy secretary to Tony Blair from 1997 to 1998,  before being promoted to be the Principal Private Secretary to Prime Minister Tony Blair in 1999. He stayed in this position until 2003, when he left the civil service in the wake of the Hutton Inquiry where it emerged that he said he had never minuted meetings in the Prime Ministerial offices about David Kelly, a job he was required to do. The Health and Safety Executive (HSE) is a UK government agency responsible for the encouragement, regulation and enforcement of workplace health, safety and welfare, and for research into occupational risks in Great Britain. It is a non-departmental public body of the United Kingdom with its headquarters in Bootle, England. In Northern Ireland, these duties lie with the Health and Safety Executive for Northern Ireland. The HSE was created by the Health and Safety at Work etc. Act 1974, and has since absorbed earlier regulatory bodies such as the Factory Inspectorate and the Railway Inspectorate though the Railway Inspectorate was transferred to the Office of Rail and Road in April 2006. The HSE is sponsored by the Department for Work and Pensions. As part of its work, HSE investigates industrial accidents, small and large, including major incidents such as the explosion and fire at Buncefield in 2005. Though it formerly reported to the Health and Safety Commission, on 1 April 2008, the two bodies merged. Norman Stewart Hughson Lamont, Baron Lamont of Lerwick, is a British politician and former Conservative MP for Kingston-upon-Thames. He is best known for his period serving as Chancellor of the Exchequer, from 1990 until 1993. He was created a life peer in 1998. Lamont is a supporter of the Eurosceptic organisation Leave Means Leave. He became a managing director of the UK Investment Banking Division at Morgan Stanley where he was embroiled in the aftermath of the collapse of Southern Cross Healthcare. Upon Gordon Brown becoming Prime Minister in 2007, Heywood returned to government as Head of Domestic Policy and Strategy at the Cabinet Office. Morgan Stanley is an American multinational investment bank and financial services company headquartered at 1585 Broadway in the Morgan Stanley Building, Midtown Manhattan, New York City. With offices in more than 42 countries and more than 55,000 employees, the firm's clients include corporations, governments, institutions and individuals. Morgan Stanley ranked No. 67 in the 2018 Fortune 500 list of the largest United States corporations by total revenue. Southern Cross Healthcare was a private provider of health and social care services, predominantly through the provision of care centres for elderly and some younger people. The group was the largest provider of care homes and long term care beds in the United Kingdom, operating over 750 care homes, 37,000+ beds and employing around 41,000 staff. Following rapid expansion financed by the sale of leases of its homes, its shares fell 98% from early 2008 to early 2011, reducing its market value from £1.1bn to around £12m. It was listed on the London Stock Exchange and a constituent of the FTSE Fledgling Index. The company had severe financial problems in 2011 and declared insolvency the following year. James Gordon Brown is a British politician who was Prime Minister of the United Kingdom and Leader of the Labour Party from 2007 to 2010. He served as Chancellor of the Exchequer from 1997 to 2007. Brown was a Member of Parliament (MP) from 1983 to 2015, first for Dunfermline East and later for Kirkcaldy and Cowdenbeath. Stephen Andrew Carter, Baron Carter of Barnes, CBE, is a Scottish businessman and politician. Starting his career as CEO of J Walter Thompson UK & Ireland and COO of NTL UK & Ireland, in 2003 Carter became the founding CEO of Ofcom in the United Kingdom. He was subsequently the group CEO of Brunswick Group from 2007 until 2008, when he stepped down to join the administration of Prime Minister Gordon Brown, Initially serving in 2008 as Brown's chief of strategy, principal advisor, and the Downing Street Chief of Staff, he was the Minister for Communications, Technology and Broadcasting from 2008 to 2009. Between 2010 and 2013 he held various management positions at Alcatel-Lucent, and in 2013 he became the group CEO of Informa, an information and events company. Her Majesty's Home Civil Service, also known as Her Majesty's Civil Service or the Home Civil Service, is the permanent bureaucracy or secretariat of Crown employees that supports Her Majesty's Government, which is composed of a cabinet of ministers chosen by the Prime Minister of the United Kingdom of Great Britain and Northern Ireland, as well as two of the three devolved administrations: the Scottish Government and the Welsh Government, but not the Northern Ireland Executive. Andrew Turnbull, Baron Turnbull, was the head of Her Majesty's Civil Service and Cabinet Secretary between 2002 and 2005 when he was succeeded by Sir Gus O'Donnell. He now sits in the House of Lords as a crossbencher. In the Government of the United Kingdom, the Minister for the Civil Service is responsible for regulations regarding Her Majesty's Civil Service, the role of which is to assist the governments of the United Kingdom in formulating and implementing policies. The position is invariably held by the Prime Minister of the United Kingdom. Augustine Thomas O'Donnell, Baron O'Donnell, is a former British senior civil servant and economist, who between 2005 and 2011 served as the Cabinet Secretary, the highest official in the British Civil Service. Robert Walter Kerslake, Baron Kerslake, is a British senior civil servant. He was the Head of the Home Civil Service, after the retirement of the former holder, the Cabinet Secretary, Sir Gus O'Donnell on 31 December 2011 until September 2014. Dame Susan Jane Owen, is a British civil servant, economist and former academic. She has served as the Permanent Secretary for the Department for Digital, Culture, Media and Sport since October 2013. She retired in March 2019 and was replaced by Sarah Healey. Sir Keir Starmer is a British Labour Party politician and barrister who serves as the Member of Parliament for Holborn and St Pancras and Shadow Brexit Secretary. Previously, he was the Director of Public Prosecutions (DPP) and the Head of the Crown Prosecution Service (CPS). He prosecuted numerous cases for the CPS during his career, while acting principally as a defence lawyer specialising in human rights issues. Sir Mark Philip Sedwill is a British diplomat and senior civil servant who has served as Cabinet Secretary and Head of the Civil Service since 2018. He has served as National Security Adviser since 2017. He previously served as the United Kingdom's Ambassador to Afghanistan from 2009 to 2010 and as the NATO Senior Civilian Representative in Afghanistan in 2010. He was the Permanent Secretary at the Home Office from February 2013 to April 2017. Sir Robert John Devereux, KCB is a retired senior British civil servant, who served as Permanent Secretary for the Department for Transport from 2007 to 2011, and then the Department for Work and Pensions from 2011 until his retirement in January 2018. 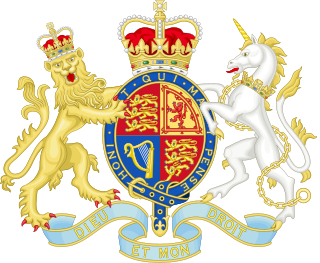 The Honours Forfeiture Committee is an ad hoc committee convened under the United Kingdom Cabinet Office, which considers cases referred to the Prime Minister of the United Kingdom where an individual's actions subsequent to their being awarded a British honour raises the question of whether they should be allowed to continue to be a holder. Recommendations are made to the Monarch of the United Kingdom, who has the sole authority to rescind an honour. Oliver Robbins is a British civil servant serving as the Prime Minister's Europe Adviser and Chief Negotiator for Exiting the European Union since September 2017. He previously served as the Permanent Secretary at the Department for Exiting the European Union from July 2016 to September 2017, and as the Prime Minister's Advisor on Europe and Global Issues from June 2016 to July 2016. Christopher Jon "Chris" Martin, was a British civil servant. He was Principal Private Secretary to the Prime Minister from 2012 to 2015. Simon Case, is a British civil servant. From January 2016 to May 2017, he served as Principal Private Secretary to the Prime Minister. Her Majesty's Principal Secretary of State for Exiting the European Union or, informally, Brexit Secretary, is the Secretary of State responsible for the United Kingdom's withdrawal from the European Union, informally referred to as "Brexit". The secretary will oversee withdrawal negotiations following a nationwide referendum on 23 June 2016, in which a majority voted in favour of exiting the EU. The office-holder is a member of the Cabinet. Sir David Bruce Pitblado KCB CVO was a principal private secretary to the office of the Prime Minister of the United Kingdom. Serving from 1951 to 1956, he was associated with Prime Ministers Clement Attlee, Winston Churchill, and Anthony Eden. With his colleague Jock Colville, he was one of Churchill's last two principal private secretaries at 10 Downing Street. Suzanne Elizabeth Heywood, Lady Heywood of Whitehall is a British executive and former civil servant. She has been managing director of the Exor Group since 2016 and chair of CNH Industrial since 2018. ↑ "Cabinet Office Structure Charts" (PDF). Cabinet Office HM Government. May 2010. Archived from the original (PDF) on 5 July 2010. Retrieved 5 September 2010. 1 2 "Former head of UK civil service, Sir Jeremy Heywood, dies at 56". Global Government Forum. 5 November 2018. 1 2 3 "Heywood, Sir Jeremy (John), (born 31 Dec. 1961), Cabinet Secretary, since 2012, and Head of Civil Service, since 2014, Cabinet Office". Heywood, Sir Jeremy (John). Who's Who 2018 . Oxford University Press. 1 December 2017. doi:10.1093/ww/9780199540884.013.U20034. ↑ "Book Review – Recollections of a Female Archaeologist: A Life of Brenda Swinbank". HARN Weblog. 29 June 2018. Retrieved 27 July 2018. ↑ Recollections of a Female Archaeologist. ↑ Andrew Gregory (5 March 2012). "The most powerful unelected man in Britain". Daily Mirror. Retrieved 13 June 2017. ↑ Bootham School Register. York, England: Bootham Old Scholars Association. 2011. ↑ "Jeremy Heywood". Richardbacon.org.uk. Retrieved 2 June 2010. 1 2 3 Beckett, Andy (27 January 2016). "The most potent, permanent and elusive figure in British politics". The Guardian. Retrieved 4 November 2018. ↑ Bowlby, Chris (21 October 2011). "Profile: Jeremy Heywood – the next Cabinet Secretary". BBC News. Retrieved 4 November 2018. ↑ Nick Robinson (12 June 2007). "A new and vital role". BBC News . Retrieved 19 January 2010. ↑ "Brown chooses former Blair aide". Bbc.co.uk. BBC News. 12 June 2007. Retrieved 19 January 2010. ↑ Mortimore, Roger; Blick, Andrew (2018). Butler's British Political Facts. Springer. p. 220. ISBN 9781137567093 . Retrieved 4 November 2018. ↑ Gentleman, Amelia (6 December 2012). "Sir Jeremy Heywood: the civil servant propping up the government". The Guardian. Retrieved 4 November 2018. ↑ Rajeev Syal; Patrick Wintour (15 July 2014). "Anger over 'political' departure of civil service head Sir Bob Kerslake". The Guardian. Retrieved 8 June 2018. ↑ "Sir Jeremy Heywood". GOV.UK. Retrieved 4 November 2018. ↑ "Senior officials 'high earners' salaries as at 30 September 2015 – GOV.UK". www.gov.uk. 17 December 2015. Retrieved 28 February 2016. ↑ Elgot, Jessica (24 October 2018). "Jeremy Heywood: a look back at the cabinet secretary's illustrious career". The Guardian. Retrieved 4 November 2018. 1 2 "Ex-civil service chief Sir Jeremy Heywood dies". BBC News. 4 November 2018. ↑ "Former Cabinet Secretary Sir Jeremy Heywood dies from cancer at 56". ITV News. Retrieved 4 November 2018. ↑ "Heywood, Suzanne Elizabeth, (Lady Heywood), (born 25 Feb. 1969), Managing Director, Exor Group, since 2016; Director, CNH Industrial, since 2016". Heywood, Suzanne Elizabeth, (Lady Heywood). Who's Who 2018 . Oxford University Press. 1 December 2017. doi:10.1093/ww/9780199540884.013.U281905 . Retrieved 5 November 2018. ↑ "Profiles - Suzanne Heywood". Bloomberg. Retrieved 5 November 2018. 1 2 "No. 56430". The London Gazette (Supplement). 31 December 2001. p. 2. 1 2 "No. 57151". The London Gazette . 24 December 2003. p. 15870. 1 2 "No. 60009". The London Gazette (Supplement). 31 December 2011. p. 2. ↑ "New Year Honours 2012: full list of recipients". The Telegraph. 31 December 2011. Retrieved 25 November 2015. ↑ Public Administration Select Committee (17 July 2012). "3. Increasing public trust in the honours system". Second Report: The Honours System. www.parliament.uk. Retrieved 25 November 2015. 1 2 "No. 62459". The London Gazette . 7 November 2018. p. 20169. ↑ "Knight Grand Cross conferred on Sir Jeremy Heywood". GOV.UK. 1 2 "No. 62453". The London Gazette . 1 November 2018. p. 19809. ↑ "PM Theresa May and Sir Mark Sedwill's statement on Jeremy Heywood". GOV.UK. Prime Minister's Office, 10 Downing Street. 4 November 2018. Retrieved 4 November 2018. ↑ Garter Principal King of Arms (25 October 2018). "Summons for The Lord Heywood of Whitehall". Twitter. Retrieved 25 October 2018– via Andrew Adonis, Baron Adonis. ↑ "Deaths of Members". UK Parliament. 5 November 2018. ↑ "Addressing members of the Lords". UK Parliament. Retrieved 4 November 2018.